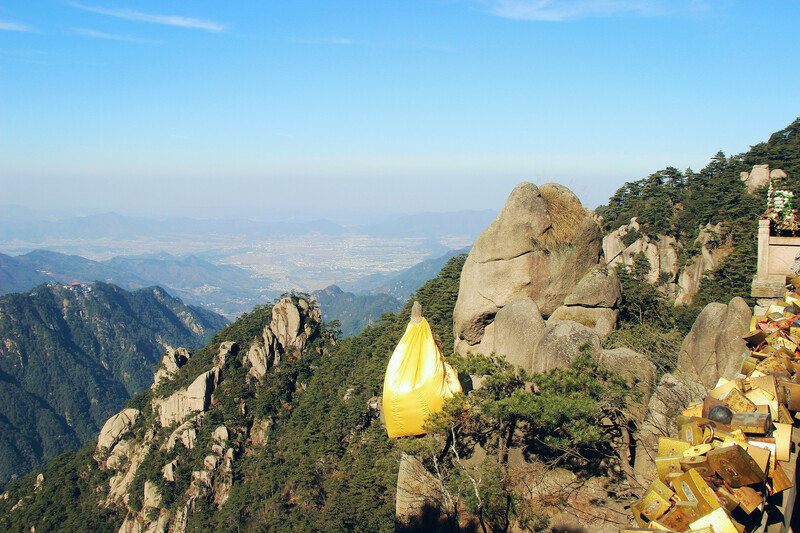 Located in the Qingyang County of the Anhui Province of China is a national 5A scenic area called Jiuhua Shan or Mount Jiuhua. 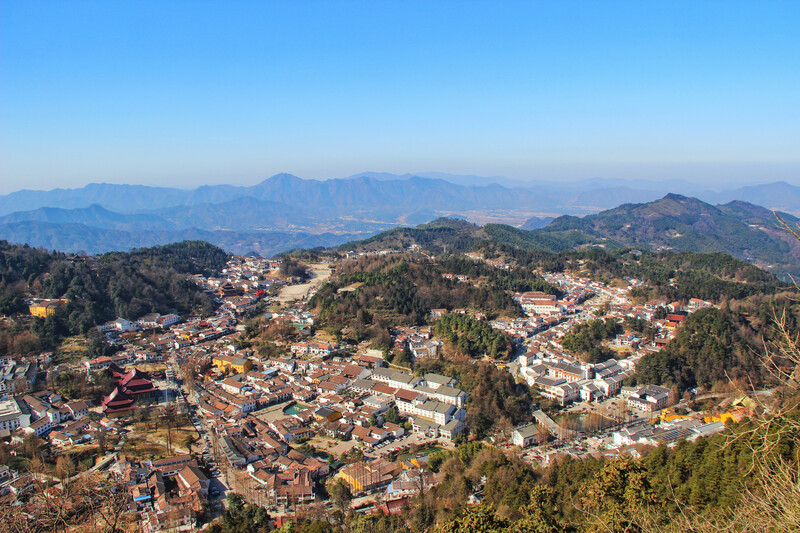 Due to its proximity to this tourist attraction, the city of Jiuhua (Chizhou) Shan has become a much-visited tourist destination. The city is surrounded by breathtaking natural scenery and Buddhist temples that are well-known all over the world. 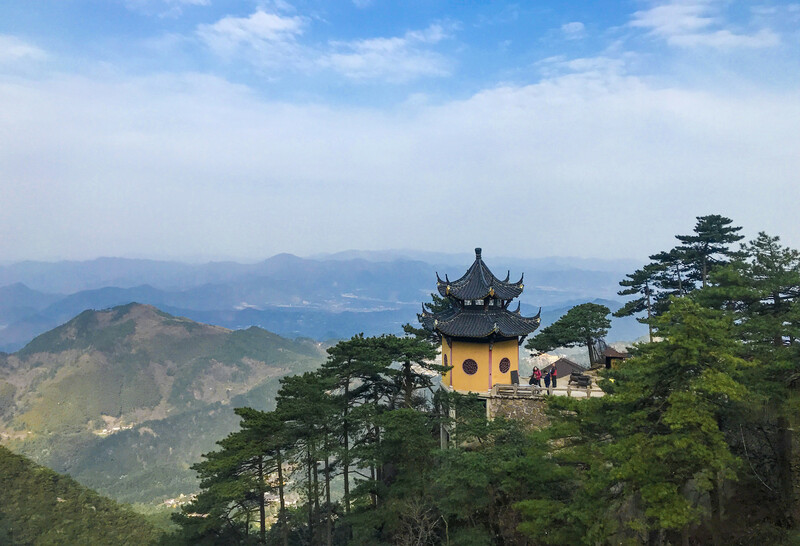 Mount Jiuhua, which is dedicated to Ksitigarbha Bodhisattva, is one of the four holy mountains in China along with Mount Emei, Mount Wutai, and Mount Putuo, and is revered by Buddhists. Mount Jiuhua consists of 99 peaks which look like a giant lotus flower. 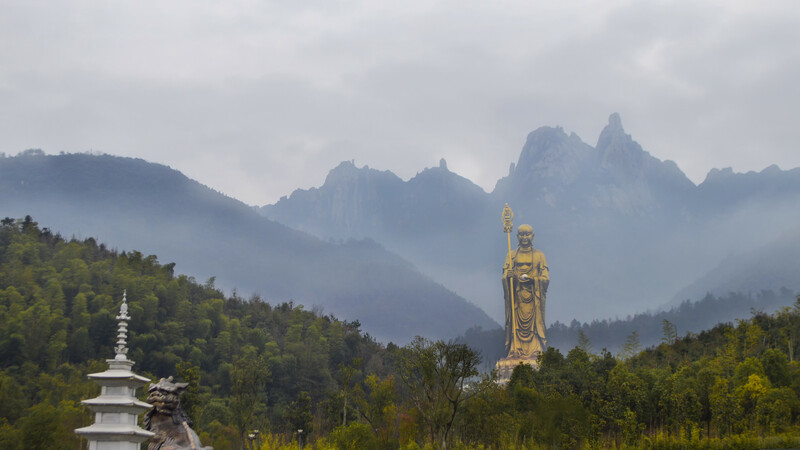 The tallest one is the Tiantai Peak that has an elevation of 1342 meters above sea level. 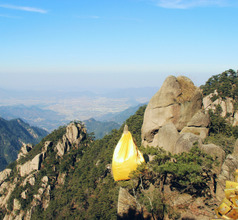 Other notable peaks include the Shiwang Peak, Tianzhu Peak, Lianhua Peak, etc. 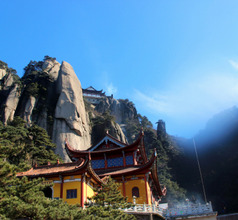 Considering the wealth of natural beauty that surrounds Jiuhua Shan city, it is not surprising that it has been a popular tourist destination since ancient times and continues to be so. Today, the city has evolved into an urban area with well-organized infrastructure and modern facilities, especially pertaining to tourism and hospitality. Being a popular tourist destination, there is a wide range of hotel rooms to choose from in Jiuhua Shan City that fit within different budgets. From luxury to basic, there are various star hotels, hostels, and motels suitable for families, large groups, backpackers, and solo travelers. The rooms are generally clean, but the size and the number of amenities depend on the stars of the hotels. The staff is friendly and those working in the larger hotels have a fair knowledge of English. Despite this, it is always sensible to carry an English-Chinese dictionary or translation booklet so that communication is easier. 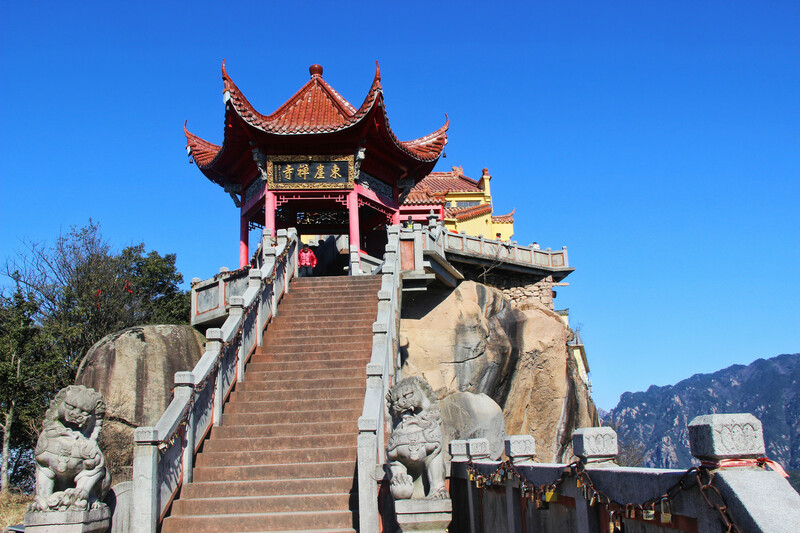 Mount Jiuhua Scenic Area consists of many fascinating tourist attractions like streams, waterfalls, springs, unusual rock formations, ancient caves, bamboo forests, and more. The Ganlu Temple is located on the north face of the peak. 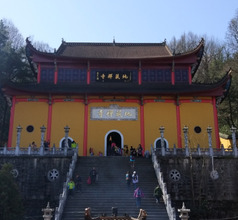 The temple has picturesque scenery with ancient trees and crystal-clear spring waters. The temple complex has many Buddhist inscriptions and other ancient relics. 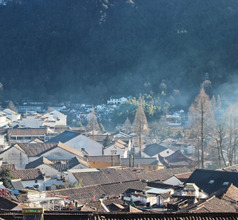 The Jiuhuashan Buddhist College is located in the temple complex. Another popular tourist spot in the vicinity is the Jiuhuajie Scenic Area. 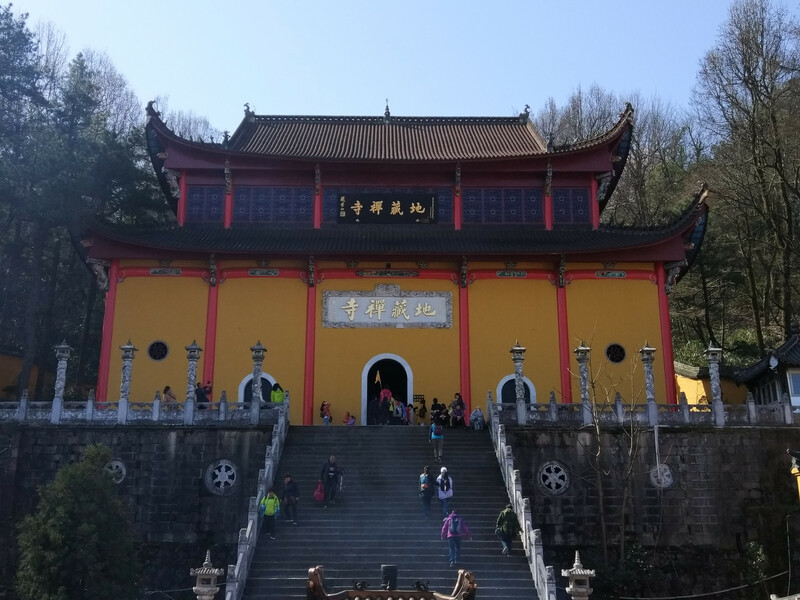 Besides having a beautiful landscape, it also has many places of worship like the Huacheng Temple, Zhiyuan Temple, Longevity Palace, Huixiang Pavilion, East Cliff Temple, Hall of 500 Arhats, Tianchi Temple, and the Hall of Sacred Remains. These temples are not only places of prayer and pilgrimage, but they also have depositories with ancient Buddhist relics like engravings, statues, paintings, sutras (teachings), etc. The Release Pond in the Huacheng Temple complex is used by monks to free captive animals and birds. 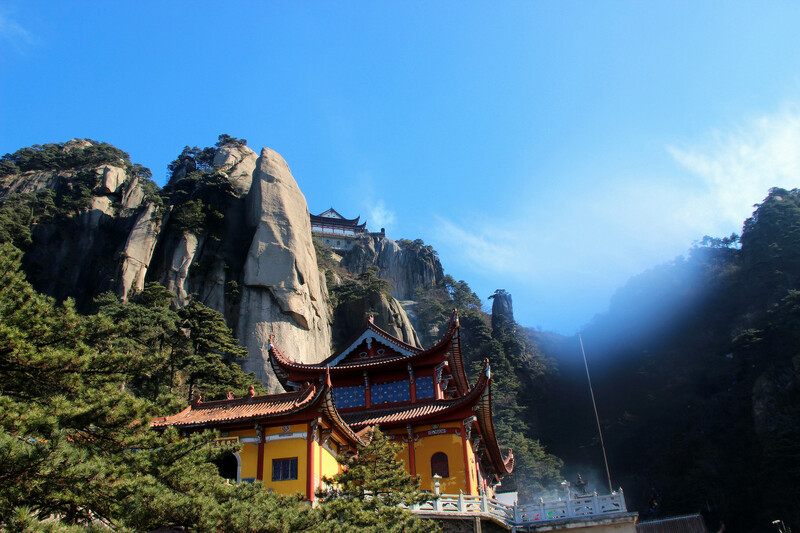 A cable-car ride to the Tiantai Peak is a memorable experience. 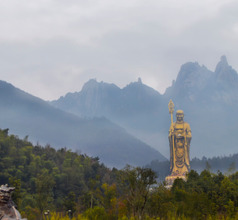 At the summit is the Tiantai Temple containing the statue of the Ksitigarbha. 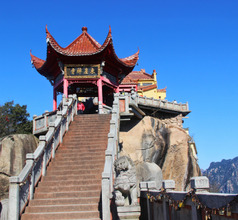 It also has the Ancient Baijing Platform which provides a spectacular panoramic view of the scenic area. This vantage point is a favorite of photographers as well as tourists. 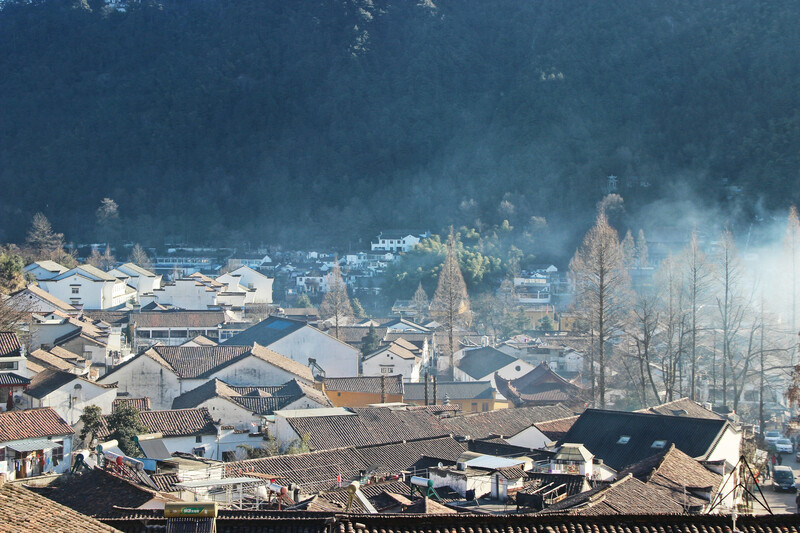 The Huiju Temple, the Buddhist Nun Communities, and the Phoenix Pines are the hotspots of this scenic area. 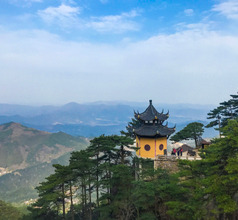 The Huatai Scenic Area does not have any temples or monuments but is blessed with beautiful landscape and offers spectacular panoramic views of the surroundings. Another tourist attraction is the Jizo Statue Scenic Area (also called Culture Park). The park can be easily identified by the magnificent 99-meters tall bronze statue of Jizo. Other attractions on the slopes are the Minyuan Temple Scenic Area, Buddha Pool, Big Wish Square, Bridge Arch, Lotus Pure Land, and others. The star hotels have their in-house restaurants offering gourmet International meals. 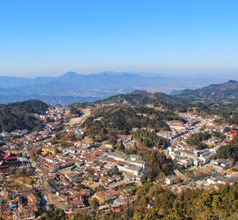 But to the get the true essence of Jiuhua Shan City, a visit to their local restaurants will be a pleasant experience. The local cuisine consists of simple ingredients available easily on the mountains like ducks, frogs, turtles, fungi, bamboo shoots, bayberries, wild dates, pork, pickled wild herbs, wheat, and rice products. Their dishes focus on being wholesome, healthy, and tasty rather than on color or appearance. The Jiuhuashan Roast Duck, made famous by the numerous restaurants in Beijing and other cities of China, is a finger-licking specialty of the region.